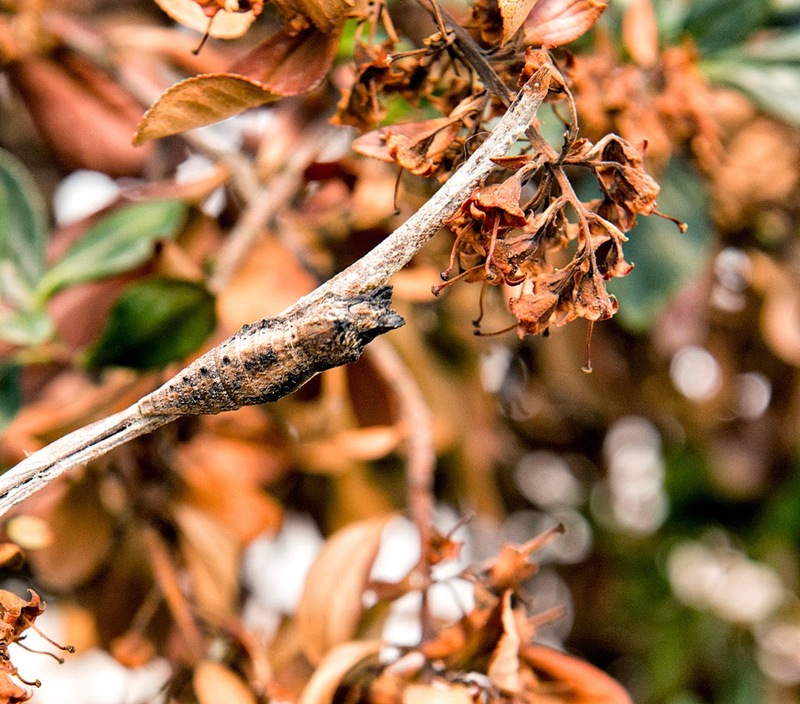 most - if not all - of the butterfly, caterpillar, and chrysalid photos in this blog have been downloaded from web searches. I've received several comments lately about their high quality and the assumption that I took them. In order to allay any confusion or misconceptions regarding photo authorship, this blog will begin to give credit either to the blog author or Google, which this site uses extensively. I don't have the amount of caterpillars, chrysalids, and butterflies at my disposal, nor the patience to chase down and try to produce quality butterfly photos. I have a cat; trying to corral him at times for either beneficial or seemingly ulterior motives is enough of a patience tester for me as it is. 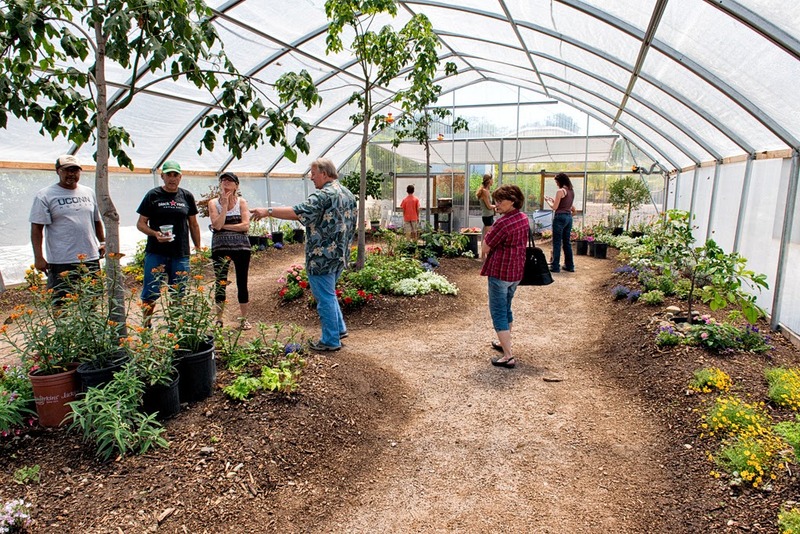 Butterfly Farms in Vista, California, held an open house of their facilities June 14. 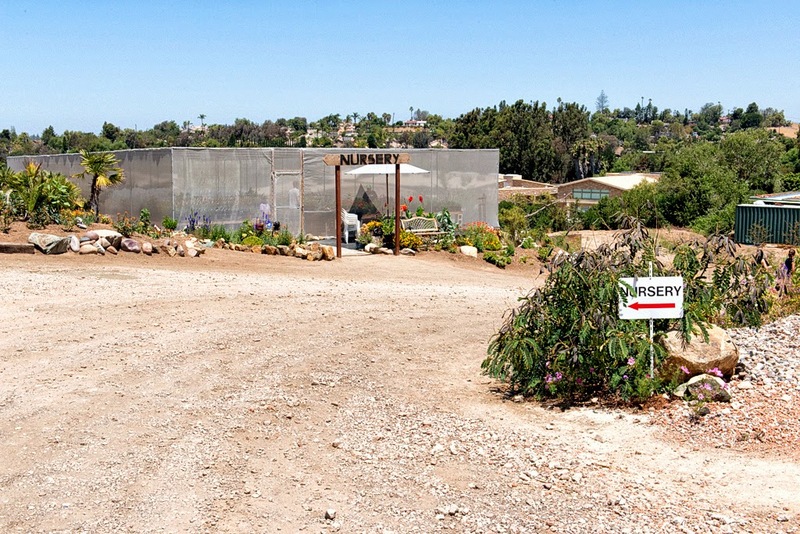 They offer butterfly-specific plants for sale on top of regular landscape fare, and is home to the largest butterfly vivarium in California according to their Facebook page, . 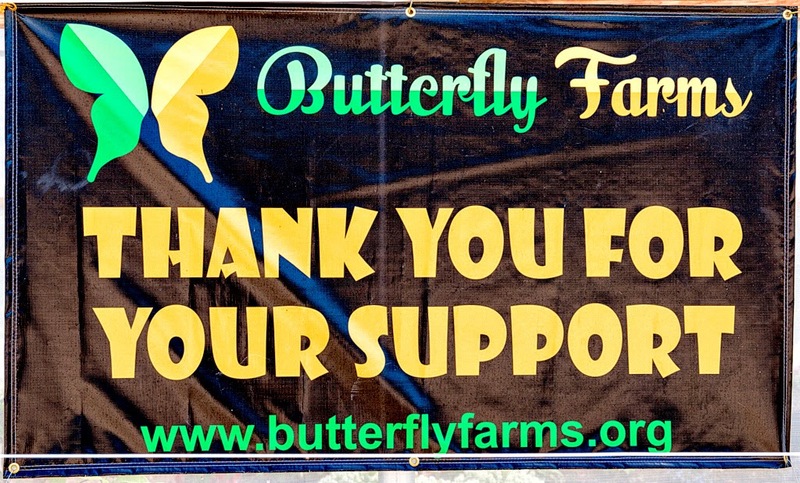 Butterfly Farms has recently opened their doors. As such, it is in the process of growing, expanding, and maturing. The visit to the vivarium and butterfly plant nursery was a pleasant way to spend the later half of a Saturday morning amongst butterflies chrysalids, caterpillars, along with some of their favorite plants. 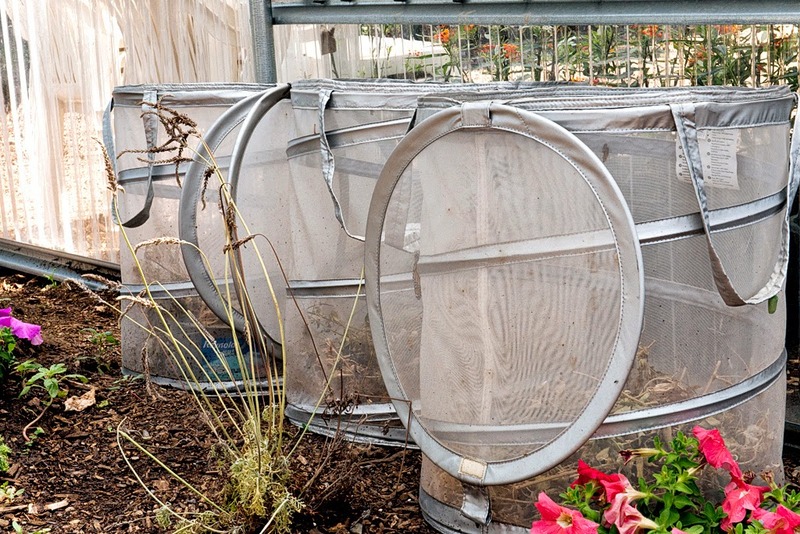 This netted building houses plants on sale specifically for butterflies. 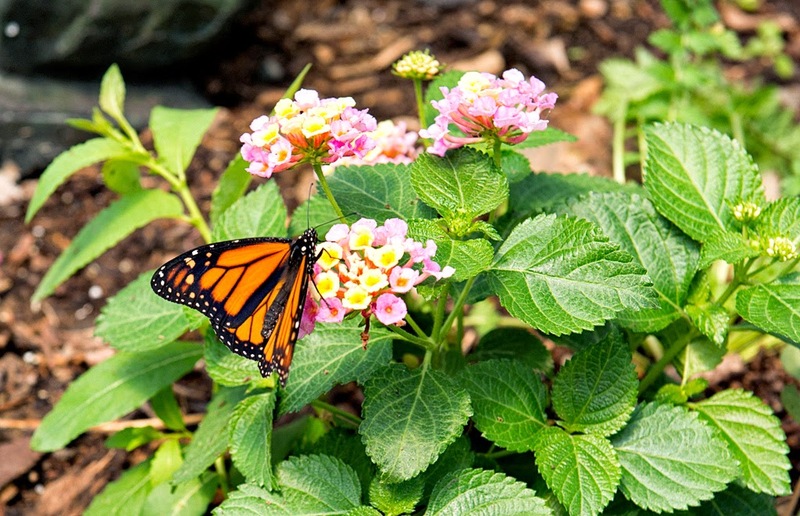 Once inside the vivarium, one is greeted by a landscape dedicated to supporting butterflies stocked with both host and nectar plants. 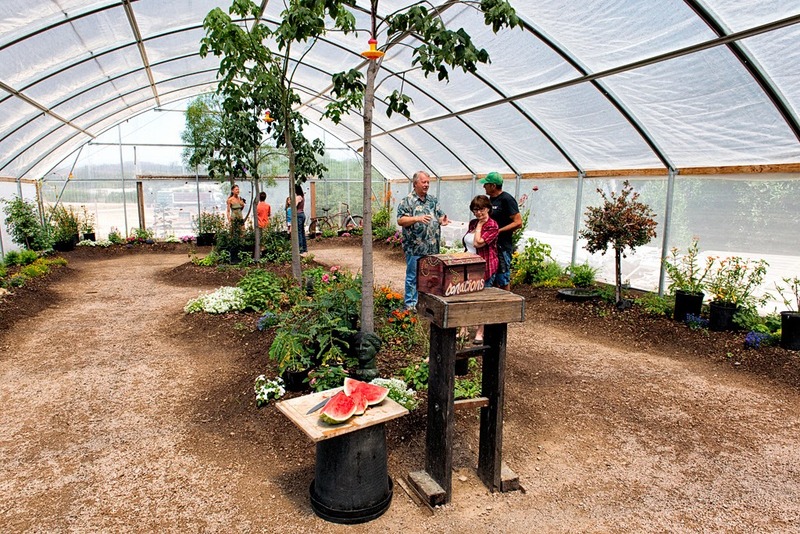 The watermelon is used as an enticement to lure butterflies and makes for a good nectar substitute when low on flowers. Just about any fruit that contains sugars will work, even oranges. 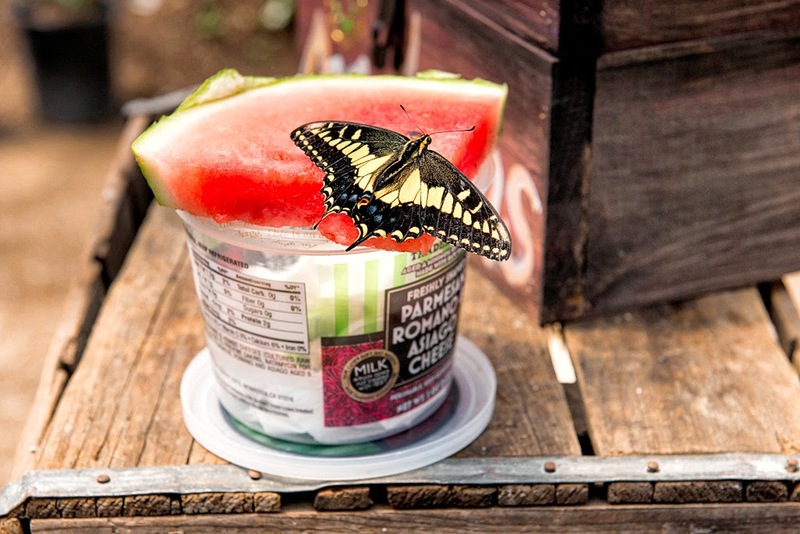 Cut up fruit in a dish and placed in the garden will keep butterflies coming to visit. Change periodically when fruit begins to dry out. Watch out for those pesky Argentine ants, as once they find it, they'll be all over it like flies on feces. 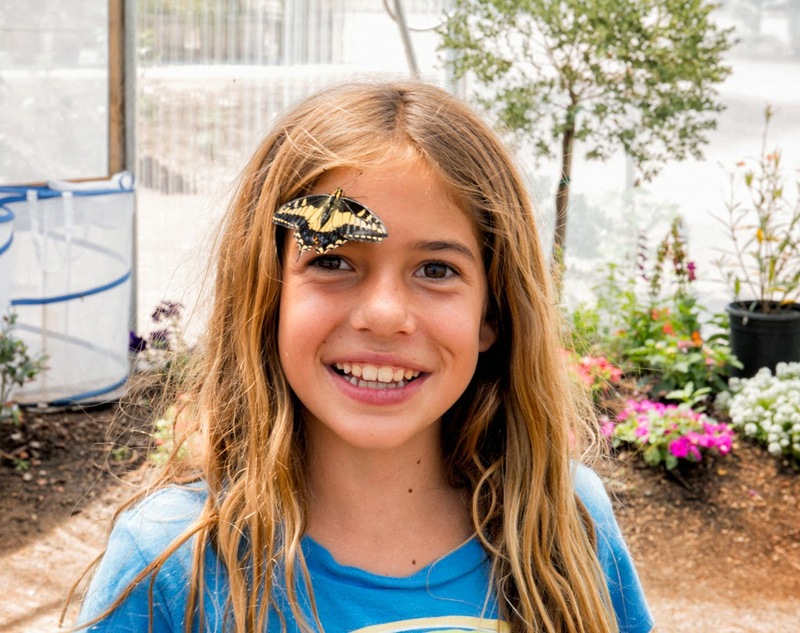 This is Micaela, the daughter of one of the owners with an Anise Swallowtail perched upon her forehead. 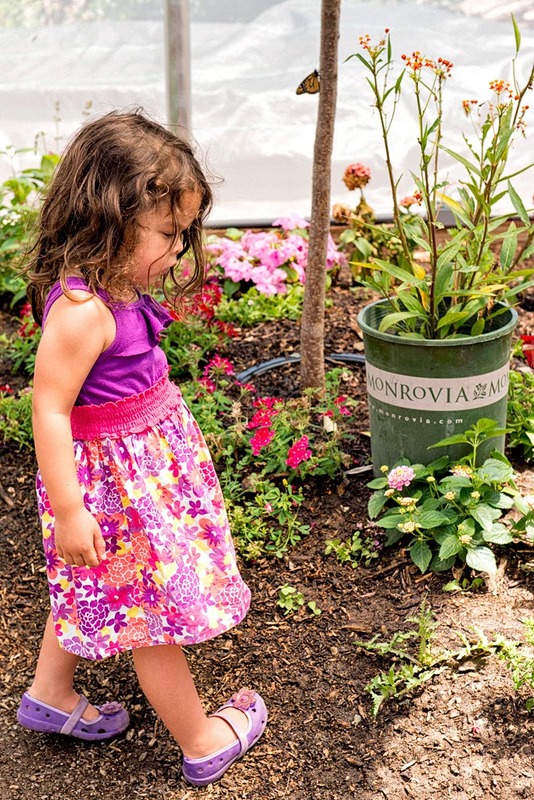 She is the spokesperson, greeter, and unofficial mascot of Butterfly Farms. Male Monarch feeding on Tropical Milkweed. 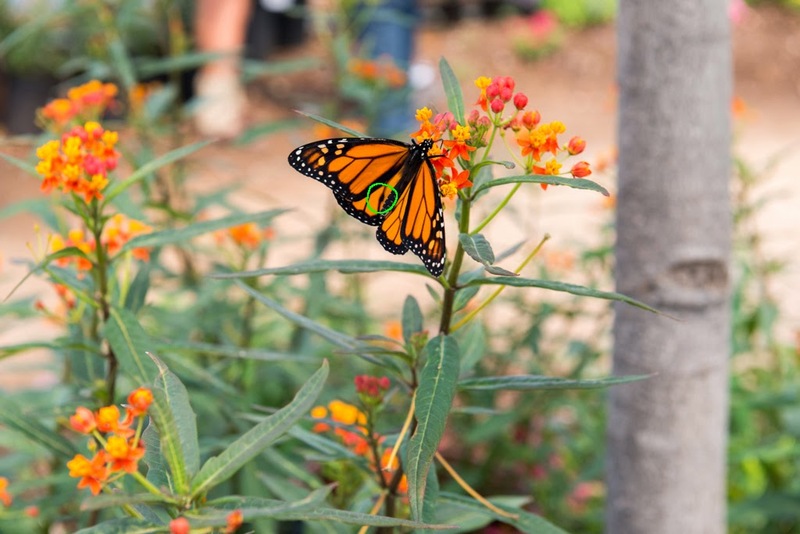 Milkweeds serve a twofold purpose: nectar and host plants. Two gender identifying characteristics are the small black dots on each lower wing with males, and the absence of the dots, plus thicker black veins on wings with females. 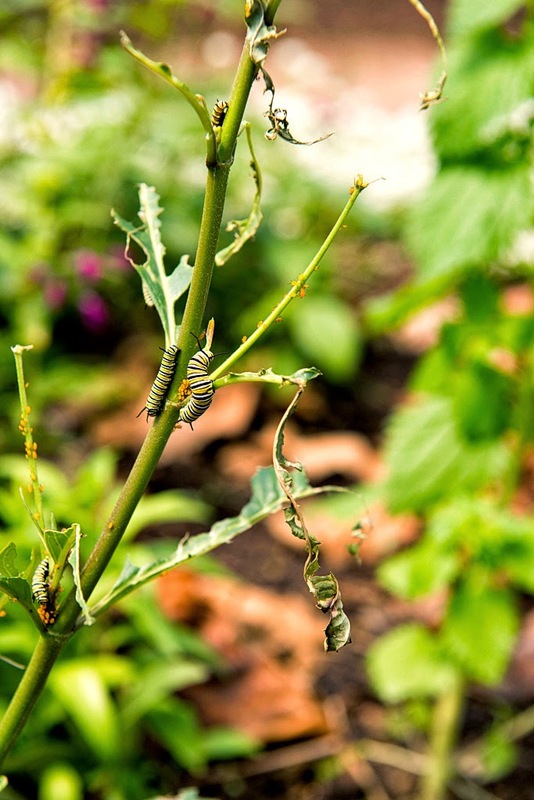 Various instars of Monarch caterpillars chomping away on Tropical Milkweed. Notice the yellowish orange oleander aphids infesting the plant also, which was touched upon in the June 6th blog post. Anise Swallowtail sipping watermelon juice. 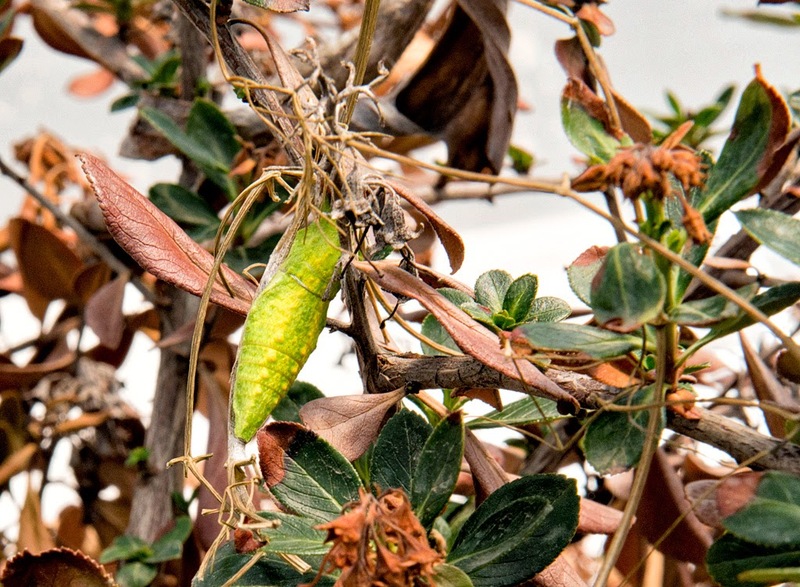 There were several Anise Swallowtail chrysalids on display in the vivarium that exhibited several color morphs, dependent on what color their surroundings are. Above is one in green phase when what it attached itself to was still green. Below is a brown chrysalid blending in with its surroundings. This particular sad looking plant was donated to the vivarium for showcasing the various color forms. Unfortunately, transplant shock got the better of it. 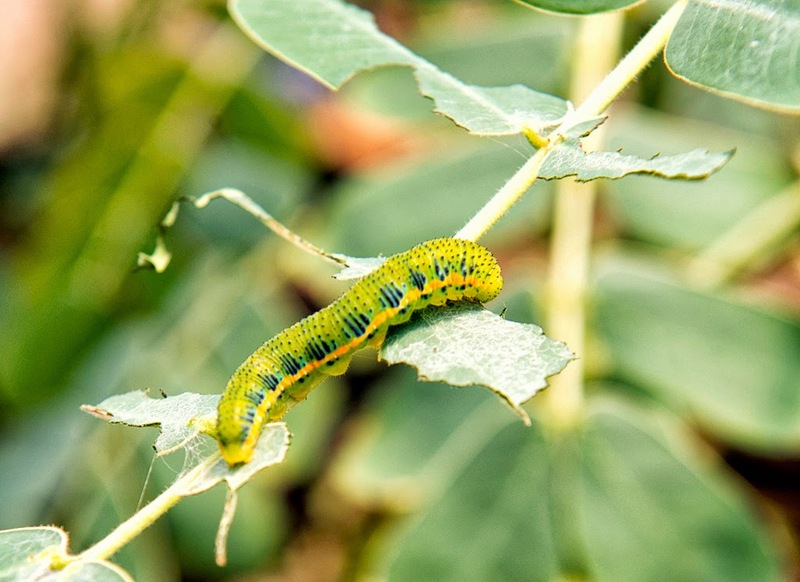 Cloudless Sulfur caterpillar feeding on cassia spp. The converted clothes hampers above make for great rearing pens. I've been lax with the butterfly web site and have not updated the type of laundry hamper I now use. I really like the Whitmor collapsible laundry hamper for its convenient size and zippered lid. Is it worth one's time to go out of your way to visit the vivarium? No, not right now at least. 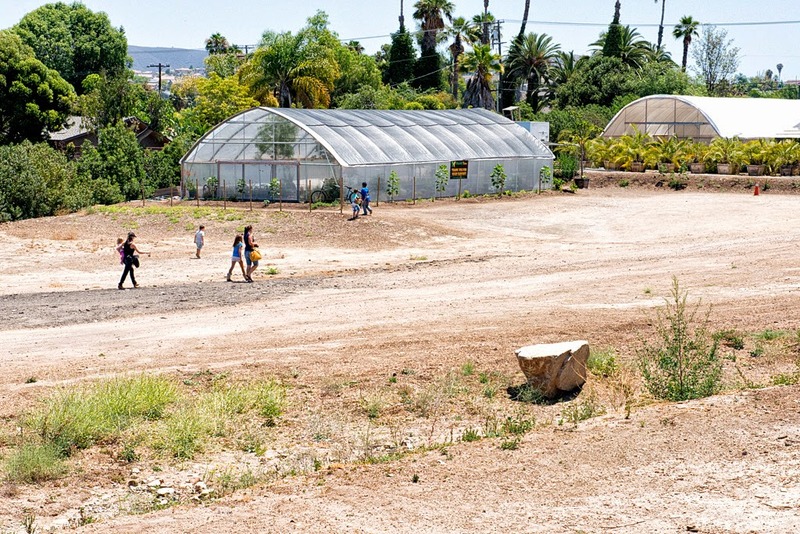 If one lives close to Butterfly Farms, the trip is worth the short drive. It is too new and not mature enough to warrant a special trip right now. Next year at this time, the vivarium should be established enough to make a trip worthwhile. 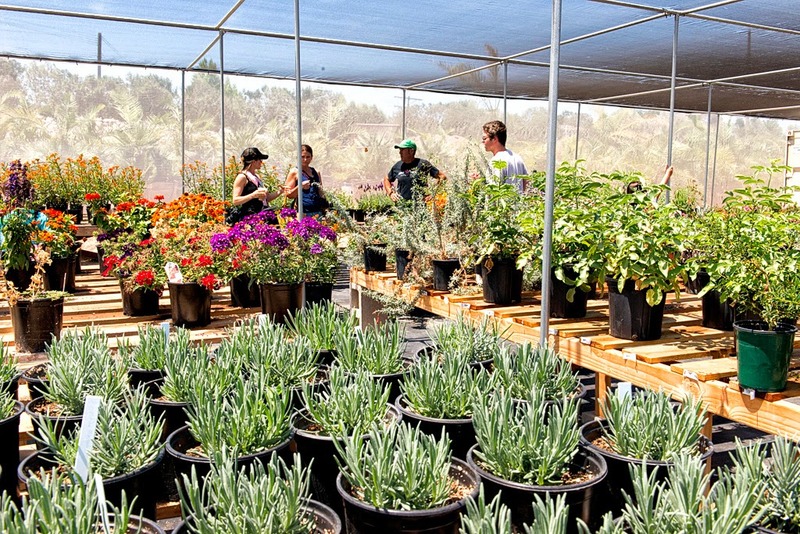 The nursery is worth coming to, as it stocks a varied and large selection of nectar and host plants, with an emphasis on milkweeds. 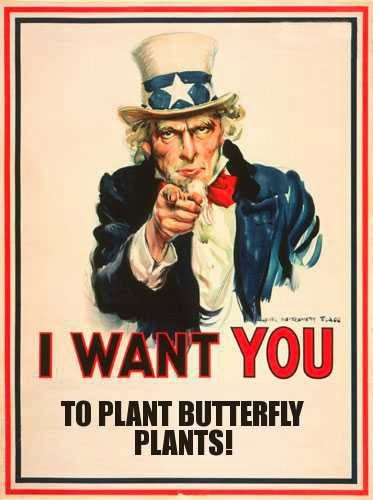 It is a nonprofit; plant sale proceeds go to operations costs, hosting school field trips, and advancing butterfly research.